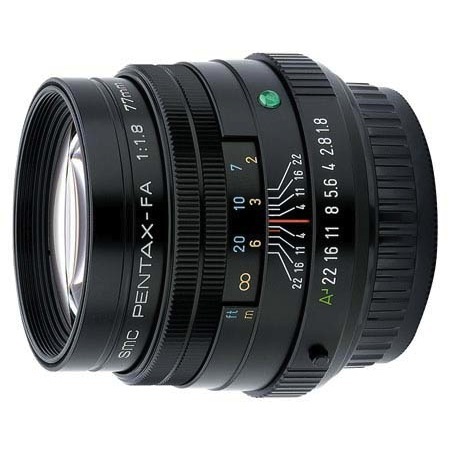 The Pentax 77mm f/1.8 Limited Series Lens is a moderate-telephoto lens that delivers crisp, high-resolution images. The fast aperture provides excellent results in low-light situations. This lens comes equipped with a built-in telescope-style lens hood. Front cap, 49mm filter and rear cap.